The Dutch conservation organization Natuurmonumenten (Dutch Society for the Protection of Nature, 1905), with a staggering number of 735,000 members, 150.000 young members (of the OERRR initiative, 2012) and managing some 345 nature reserves covering over 101,000 hectares in The Netherlands, recently published a survey on the attitude of Dutch people towards wildlife in its country. Some 40,000 people participated in the survey showing a clear and positive attitude towards wildlife, wildlife comeback and more space for wild nature and wildlife. The survey focused on red deer and wild boar, but also included the possible comeback of the wolf. Natuurmonumenten is going to use these outcomes to adapt its management of the species in their reserves. As we speak, in many European countries there is a very active debate about how to deal with managing wildlife, in particular encouraged by the comeback of the larger carnivores and herbivores. As was shown in the Wildlife Comeback Report that was presented by the Zoological Society of London, BirdLife International and European Bird Census Council in September 2013, this comeback is happening for many of the larger and iconic wildlife species across Europe. The report also addresses the opportunities and challenges this brings to Europe and the Europeans: how can we live alongside our native wildlife again, and how we can allow and benefit from this wildlife comeback? In general, the comeback of the wolf is supported and the majority of the people do not see any major problems with the species if it would recolonize. The report, produced with the support of Wageningen University and Alterra, provides detailed outcomes of the survey (in Dutch) and can be downloaded here (pdf). In a number of larger nature reserves, allow the larger wildlife species and natural processes full space to develop. Create attractive areas for wildlife and provide more guided excursions and facilities for visitors to observe and photograph wildlife. The report (in Dutch) that presents all the detailed actions that Natuurmonumenten is going to take can be downloaded here (pdf). If the Dutch can do it…? The results of the attitude survey are very encouraging and supportive of wildlife and natural processes; they also respond to the increasing demand for wildlife watching. 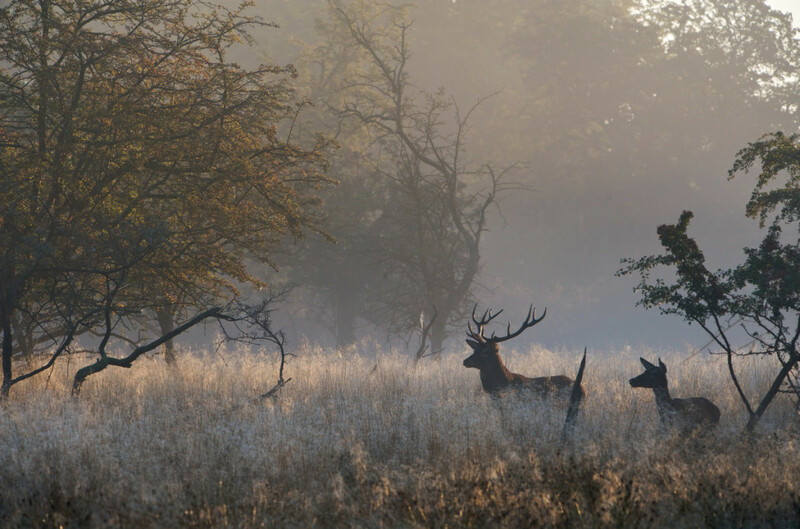 ‘Natuurmonumenten sets a great example of how to involve the wider audience in the decision making of the management of their nature reserves,’ says Frans Schepers, Managing Director of Rewilding Europe. ‘In many occasions, we see that the debate about wildlife is dominated by interests groups that are opposing wildlife comeback or natural wildlife numbers. These surveys bring more balance in the debate, and do not only include people from urban areas but also the countryside’, he says. ‘Providing more opportunities for wildlife watching is a main focus of Rewilding Europe – the way to also show the benefits and enjoy our native animals. We hope that this example will be followed by many other organizations and countries across Europe’. For information about Natuurmonumenten in English, please visit www.natuurmonumenten.nl/we-protect-nature.